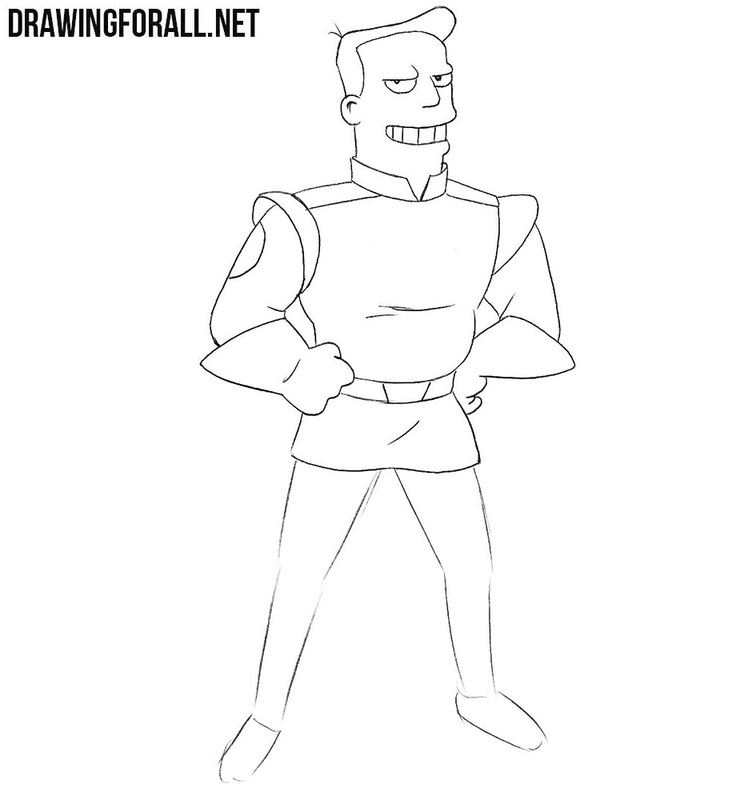 Perhaps the most vivid and ambiguous character from Futurama is Zapp Brannigan. 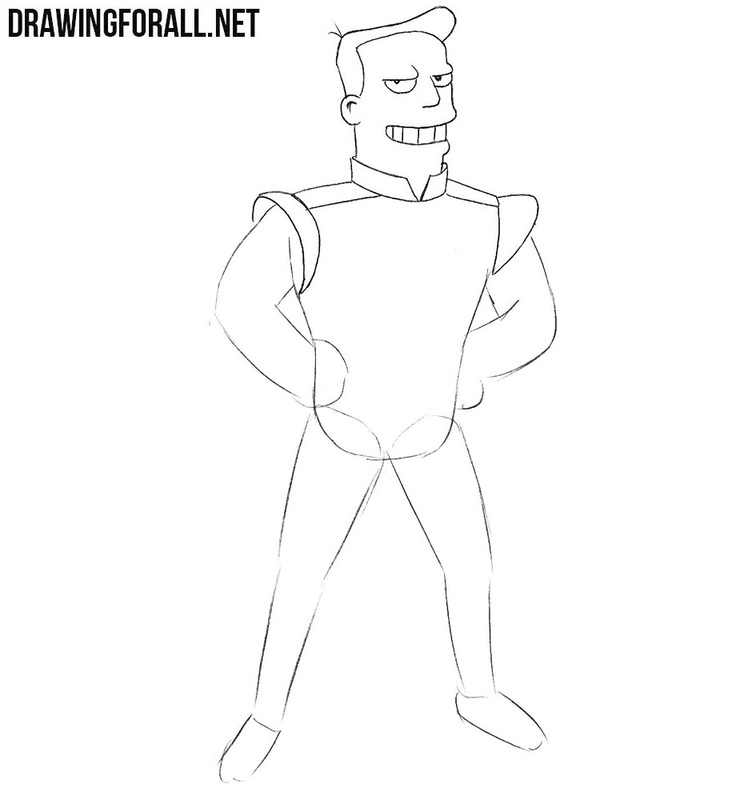 And today’s drawing lesson will be devoted to how to draw Zapp Brannigan. 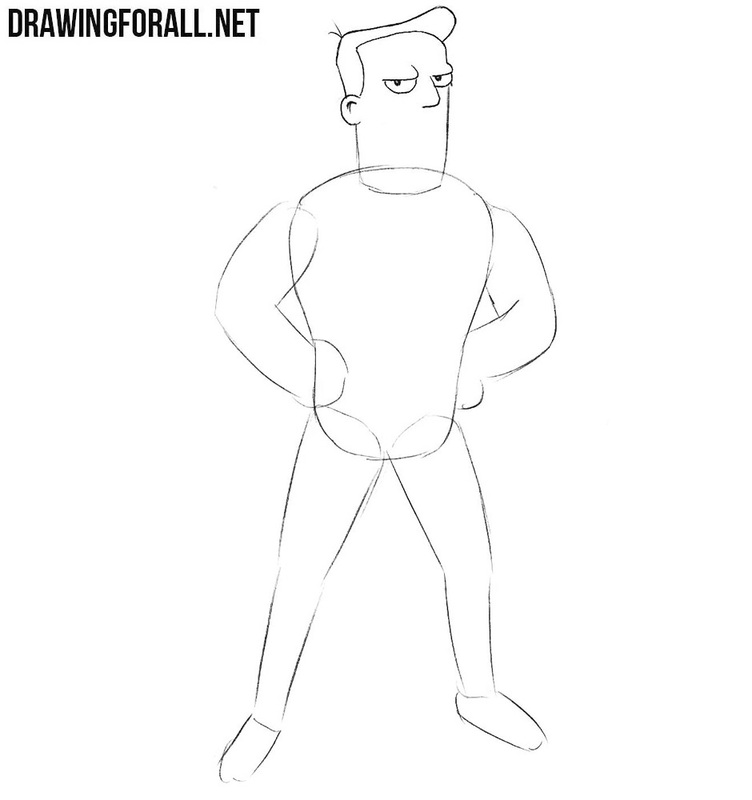 First of all, we draw out the head and outlines of the torso of our character. 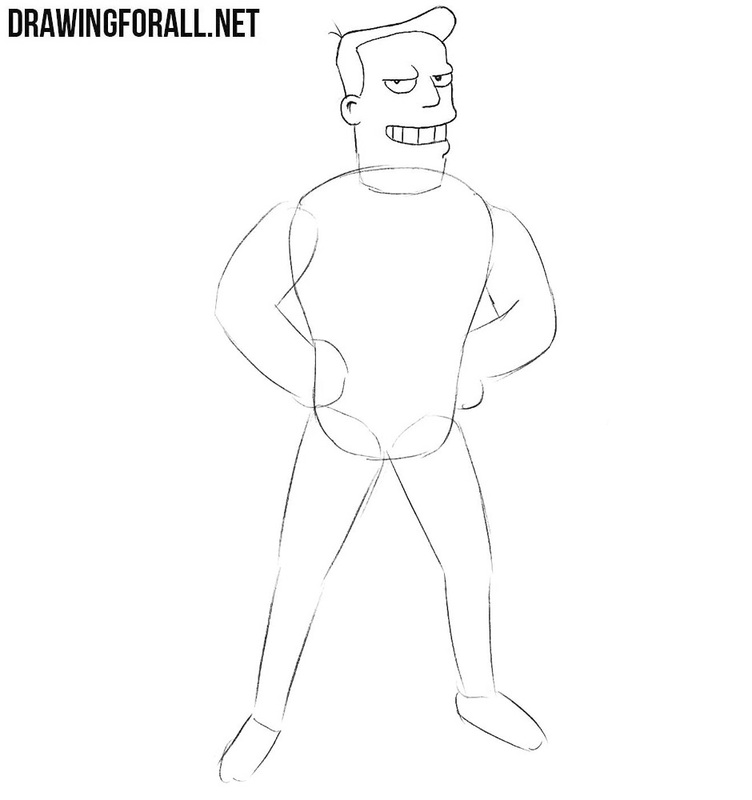 Next, we sketch out the outlines of large arms and disproportionately thin legs. 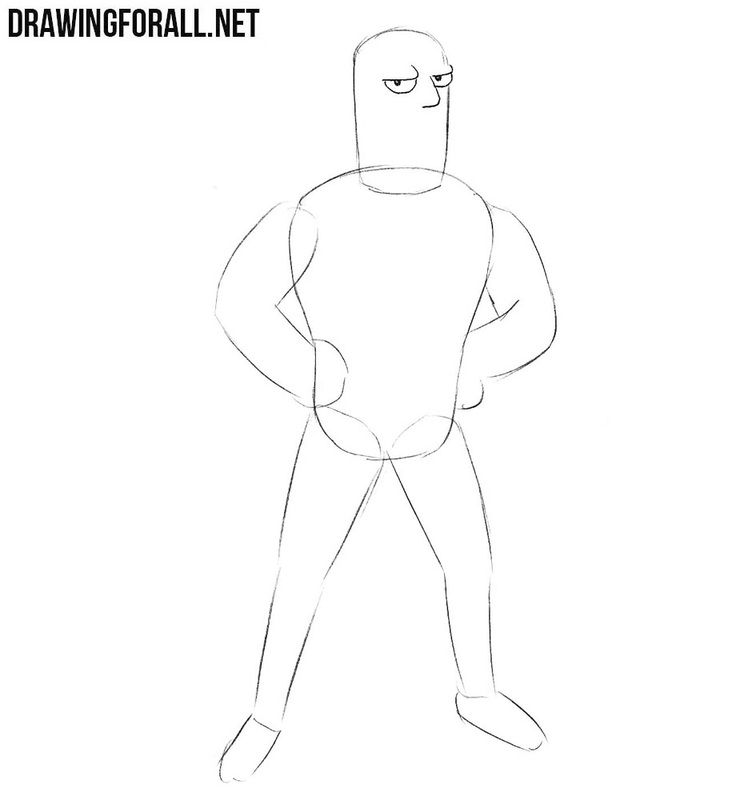 Now draw the frowning eyes and nose. 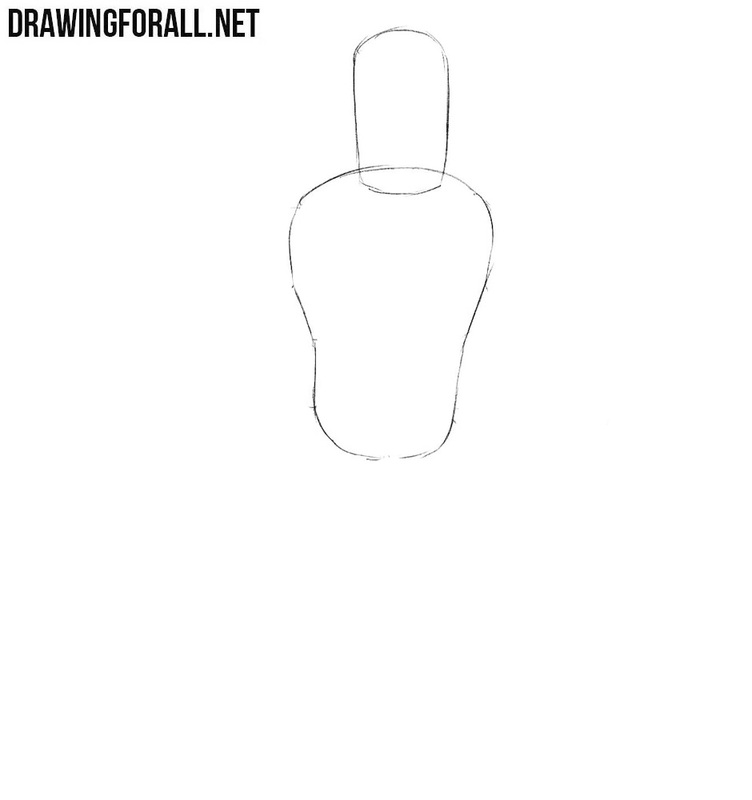 Next draw the pupils in the form of simple dots. Now we move a slightly above and draw out the outlines of the forehead, hairstyle and ear. 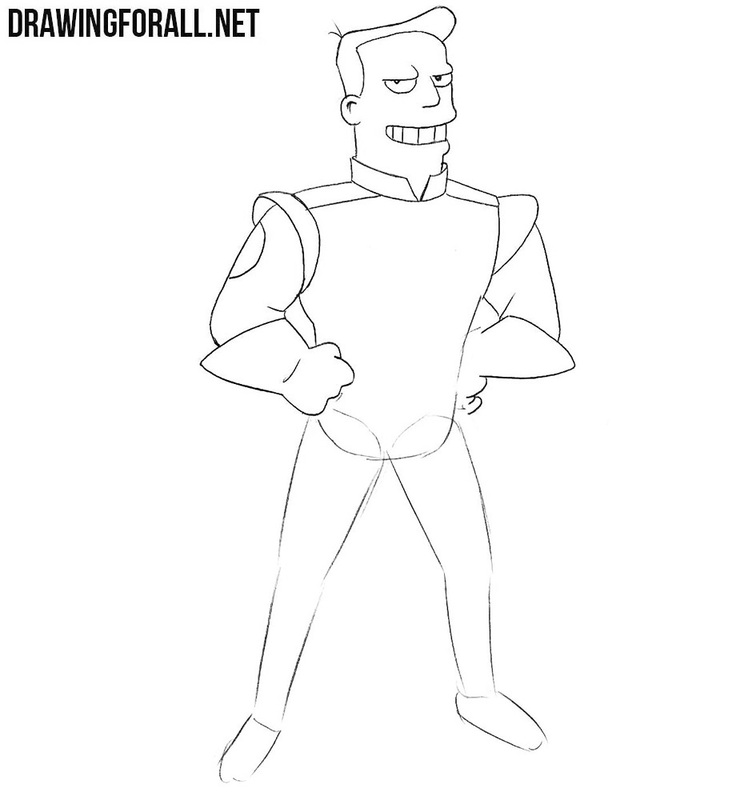 Now we draw the mouth of Zapp Brannigan, curved in a Hollywood smile. 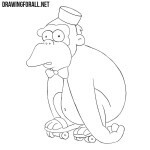 Go down a little lower and draw the collar and the elements of the costume on the shoulders. Carefully draw out the outlines of arms and hands, dressed in retro futuristic gloves. Now draw out the outlines of the bellied torso as shown in our example. 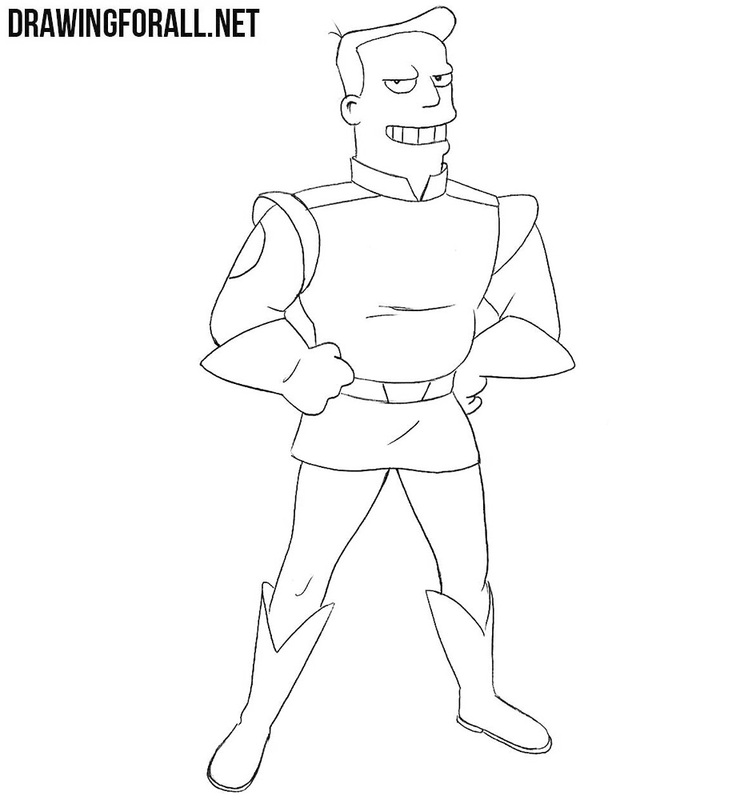 Now go to the lower part of the captain’s body and draw the legs, dressed also in retro futuristic boots. 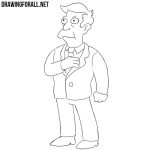 We recently began to draw characters from Futurama and gradually improve the methods of drawing these characters. 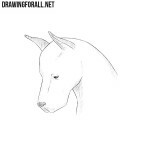 And that’s why your opinion on this and our other drawing lessons is very important to us. Therefore be free to write us your opinion and your criticism in the comments to this article or write us an email.